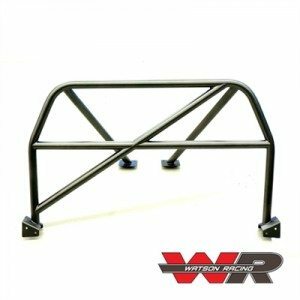 Watson Racing offers a Variety in Top-of-the-Line Mustang Roll Cage! 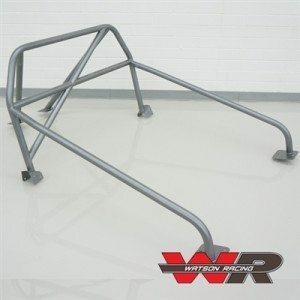 Drag & Road Race Roll Cage, 4-point Bolt-in Roll Bars & 6-point Bolt-in Roll Bar! Mustang Drag Race Roll Cage. .083 1.625″ dia. 4130 Cro-moly tubing. NHRA certified design to 8.50. Similar to the cage in the Cobra Jet. Mustang Road Race Roll Cage. .120″ 1.75″ dia. DOM tube. Competition ready and race proven. Verify specific requirements with your sanctioning body. 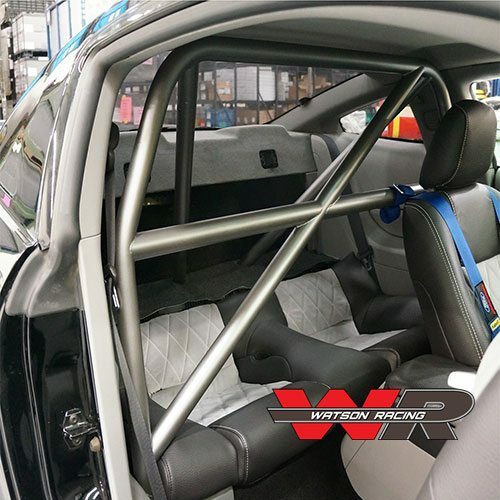 After extensive engineering, Watson Racing is thrilled to offer its’ bolt-in 4-Point and 6-point Mustang Roll Cage. 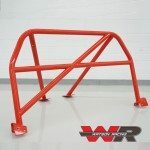 Quite simply the finest 4-point & 6-point Mustang roll cage on the market. What makes this Mustang Roll Cage different? Quick-In and Quick-Out design. Perfect for those of you who are part-time racers and don’t want a full-time roll bar. Uniquely-engineered bolt-in mounting system stays hidden and mounted in the car. 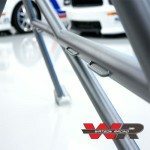 Unbolt the Watson Mustang Roll Cage from INSIDE your car for quick removal and re-installation. Mounts to the FACTORY corner gussets. Other 4-point and 6-point Mustang roll cages in the market either bolt to the weak sheet metal floor behind the front seats (dangerous! ), or replace the factory corner gussets with their own design. Why replace what Ford has already engineered and crash-tested? This is a critical strength point in your Mustang, and we did not want to replace it. The Watson Racing Mustang roll cage bolts to this factory, high-strength gusset for maximum safety. Minimal trim panel modification. 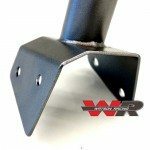 With our Mustang Roll Cage quick-in, quick-out design, you don’t have to cut your trim panels AT ALL if you don’t want to. If you’d rather keep the trim panels and Roll Cage permanently mounted in the car, the modifications required to the trim panels are minimal. No cutting your time panels in half with our bar! Full seat travel. Since the Watson Mustang Roll Cage mounts on top of the factory corner gussets (next to rear seat bottom cushion), the front seats are free to slide all the way back and maintain a comfortable driving position. Shoulder harness retainers keep your belts in place. Constructed of heavy duty 1.75″ x .120″ DOM steel tube. 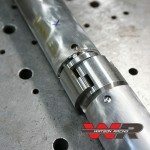 Precision CNC Mandrel bending provides consistency & an exact fit every time. Standard fixed harness bar and diagonal cross brace. Fewer bends provide superior strength over other designs. 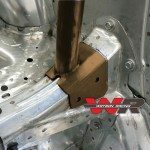 Want more Mustang Roll Cage product information? Check out our [click-n-print] informational sheet.